This post is sponsored by La Posh Style. Today I'm excited to introduce you to one of my fabulous sponsors, La Posh Style. 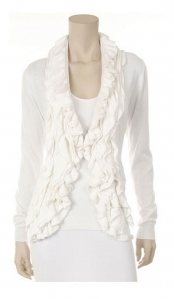 La Posh Style is an online boutique that sells FABULOUS clothes at equally FABULOUS prices! Check out these boots! Adorbs. And at only 58.99 they're super affordable as well. 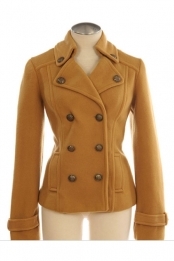 Their selection of coats will keep you looking darling all winter long. And they have so many cute cardis, I had a hard time limiting the number I wanted to show you! Their dresses are equally cute...and they have tons to choose from. And today's your lucky day because La Posh Style is offering one lucky reader their choice of any dress in their shop! Woot Woot!! For an additional entry, you can "like" La Posh Style on Facebook, then come back and leave another comment. You can also tweet about this giveaway, then come back and leave a comment. This giveaway closes at 11:59 pm MST on Wednesday, September 21. This post was sponsored by La Posh Style. The opinions expressed are my own. I do love those boots! The Take Me Away Dress in Gray reminds of the dress Heidi Klum wore at the Emmy's. So cute! I likes them on fb. Gotta love me a pretty, feminine dress! In such pretty fabrics too! What beautiful stuff they have!!! Oh so very pretty!!! What a great giveaway. Ahh so many pretty things. What a wonderful giveaway! I like La Posh Style on FB! So many pretty things! I love that blue dress at the bottom! Cool boots too! Wow, those dresses are beautiful! Pick me! I also liked La Posh Style on facebook! Fun fun!!!! Thanks for the chance! I had never heard of La Posh before....REALLY love the dresses! I am both a coat and a dress addict so this shop is going to be my new best friend. I tweeted about it (@evil_lina). Oooh, I need some new boots! There are so many cute things!!! Wow, love that coat you showed. I want it in red! I like La Posh on FB! Fingers crossed, I love their stuff! Ooo what a great giveaway. I would love to win! That last dress you posted is SUPER cute! Would love to wear it with those boots this fall!! super cute stuff!! I love those dresses and the belts are fabulous! Thanks so much for the giveaway! I like the Drop me a line dress. I love that blue dress at the bottom on the post! Will be checking out their store! I AM IN LOVE!! So glad I just cleaned my closet. I must have one of these dresses!! So many cute dresses to choose from! Liked on Facebook. Did I mention that I LOVE it!! They are all so pretty! I'll have to check them out! Love love love their clothes shop there all the time :) love it! So cute! I so need some additions to my fall wardrobe! So cute! Thank you for offering this giveaway! I Liked La Posh Style on Facebook, love their clothes! Yummy...I think that I like EVERYTHING! 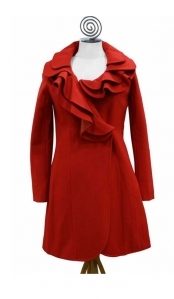 Love the red coat too! Those coats are gorgeous! Perfect piece to add to a wardrobe! Love those boots... boots with dresses are my favorite! THANK YOU for introducing me to LA POSH! I have never heard of LA POSH before! Now I'm in Love!!! That red coat and the camel coal!! Lovely! I love their designs and I LIKE them on FB! Gorgeous! What an awesome giveaway! Love the clothes, thakns for hosting! I love the Dress in Rust. It is a beautiful color. Thanks for the giveaway! I've been in retail for 21 years so, honestly, it takes a lot for me to be blown away. Those brown boots....WOW! What gorgeous stuff they have! How fun! Love their clothes! Hope I win....I soooo need a new dress! Thanks! Loving all of these pieces! Excited for a chance to win! I now "like" La Posh Style on Facebook! oh I need some new clothes for school...this would be amazing!!! Ooh, pretty stuff - thanks for introducing us! Thanks for the introduction. Loved the miles of style or dazzline tube knit dresses. So hard to choose! Would love to win. Wow, lots of vying for one of those lovely dresses. Awesome giveaway. Hi, back again. What a cute boutique.I like them on FB. I'd love to win one of their dresses! This would be kind of awesome since I have set a goal to not buy any new clothing this year! I sure could use this little perk! A new budget around here has me a little cramped for style. love love love!! enter me! Love the gray cardi with ruffles! So cute. The Geometric Print Knit Dress! Yes, please! And now liking them on Facebook! Love this giveaway! Love that shop! SO cute! I'm in the mood for some shopping now! Such lovely clothes - love this shop. The tunics are so lovely! I love these coats so perfect for the NYC winter! just "liked" on facebook too! Their dresses are so cute! Enter me! so cute! I love those cardigans! How could you pick just ONE dress! They're beautiful! Thanks for the chance to win a new dress! I love the grey ruffle one with the belt! Too cute! My fingers are crossed, I could use a new dress. Oooo la la! Gorgeous! Love it all! Adorable clothes! I would love to win! Fab giveaway! I would LOVE a new dress! I love it.. The dresses the boots the cardi's everything! Hope I win! 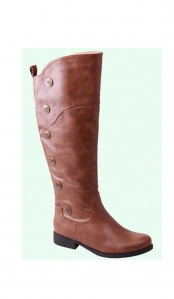 Love the Taupe dress with the brown belt...I already have the perfect matching boots! What a lovely boutique! She has some fabulous items! I "like" La Posh Style on Facebook. 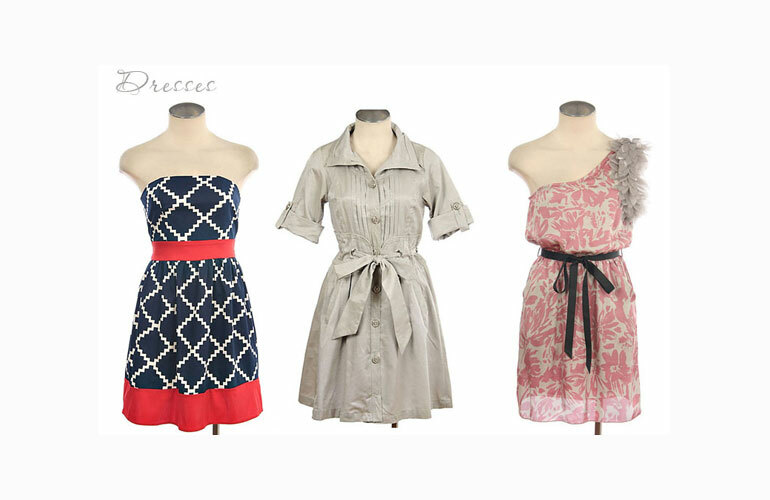 I can't believe I hadn't heard of them!such wonderful items...love the grey dress and the cardigans ....so cute!!!! Yep, gorgeous. The red coat makes me think of Martine McCutcheon in 'Love Actually'... but the cropped mustard coat is what I actually need! Will go visit - thanks for the giveaway, and the heads-up! I love the red coat! It has such a lovely design and color :) It would go superbely with a luxury watch. Got to love it! I really need a new dress! Not sure what I love more. Everything is wonderful. Love, love, love the boots. Love them. Now for the skirt and sweater and dress and tights....hello fall! I liked you on FB, and oh I wanna win, please, please!!!!!!! Such wonderful items. I could use a new dress. Hope I win this giveaway. I like LaPosh Style on FB. Oh, great dresses and coats! Thanks for the giveaway, I'd love to win!! amazing designs! I love those cardis...but, who isn't a sucker for a great cardigan? I now follow La Posh Style on facebook. Would love one of those dresses!!!!!!! 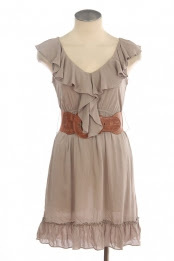 love that prairie style sleeveless taupe color dress with the wide tan leather belt!! They also have awesome long sweaters! like La Posh Style on FB! That red coat is Gorgeous!! The red coat and boots are cute!!! Their clothing is fantastic! Thanks for a chance to win! I could use a new dress (and those boots!). Thanks for the chance to win! What pretty, feminine dresses!!! I'm loving all of the ruffles! I would love to win one of those dresses! Mmmm... like it! I have cute black boots but those brown ones are delisc. I just liked La Posh on fb! Love the red coat and boots! AND like LaP on FB too!! I almost missed this contest, was at work and just got home. I love the cardigans they are too cute. I am competing with my husband with a weight loss challenge. A dress in a smaller size = motivation? Really cute dresses! It would be difficult to choose. They are all adorable. I am so happy! I have been looking for a new online boutique shop! Love it!